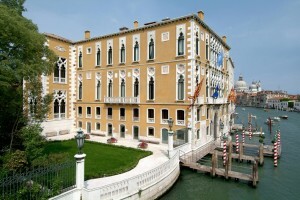 The Accademia Nazionale dei Lincei, founded in 1603 by Federico Cesi, is the oldest scientific academy worldwide. The Academy promotes excellence through its Fellowship which included, among many other prestigious names, Galileo Galilei. The members are divided in two classes: one for mathematical, physical, and natural sciences; the other for social sciences and humanities. The Academy’s mission is to promote, coordinate, integrate and spread scientific knowledge. It is a non-governmental, independent body and, since 1992, acts as scientific advisor to the President of the Italian Republic. 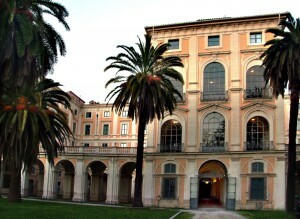 The Lincei Academy maintains several exchange agreements with foreign national academies and represents Italy in the main academic international organizations, such as the The Global Network of Science Scademies (IAP), the InterAcademy Medical Panel (IAMP), the All European Academies Network (ALLEA), the European Academies’ Science Advisory Council (EASAC), Groupe Inter-académique pour le Développement (GID), Euro Mediterranean Academic Network (EMAN). The seat of the Accademia Nazionale dei Lincei is in the historical Palazzo Corsini, located in the heart of Rome. The Istituto Veneto di Scienze, Lettre ed Arti stems from the Reale Istituto Nazionale, created by Napoleon for the Kingdom of Italy in 1810. The current name was given in 1838 by Ferdinand I, Emperor of Austria, when Venetia was under Austrian Government. In 1866, after the annexation of Venetia to Kingdom of Italy, the Istituto Veneto di Scienze, Lettere ed Arti was recognized as one of the most prestigious Italian Academies. Since 1838, the activity of Istituto Veneto di Scienze, Lettere ed Arti has run uninterruptedly until now. Presently, the Institute accounts for 277 fellows, 140 in the class of Sciences and 137 in the class of Humanities; 101 are fellows (soci effettivi), 137 are corresponding fellows (soci corrispondenti), 37 are foreign fellows (soci stranieri) and 2 are honorary fellows (soci onorari). Fellows are formally appointed by the Ministry of Cultural Affaires after having been elected by the Assembly of the 101 soci effettivi. The Institute’s activities include monthly academic meetings (adunanze), where fellows present their studies to be published on the magazine «Atti dell’Istituto Veneto di Scienze, Lettere ed Arti». The Institute also regularly promotes meetings, conferences and seminars on Sciences, Humanities and Art. The Institute publishes and prints books (presently the catalogue accounts over 100 titles). Particular attention is devoted to diffusion of culture by audiovisual media, information technology and internet communications (www.istitutoveneto.it). The Institute owns a rich library (over 300.000 volumes) and several archives, including that of Luigi Luzzatti, Italian prime minister in 1911. The Accademia delle Scienze di Torino was instituted in 1783 by Victor Amadeus III of Savoy. 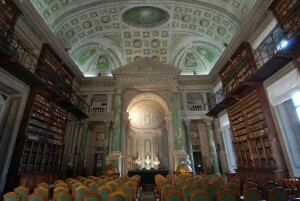 It was the national academy until 1874, when the Accademia dei Lincei took over as the official Italian academy. Since 2000 has been a private institution. Its role is to ‘contribute to scientific progress, supporting research and seeing to the publication of its results, contributing to the spread of knowledge’. The Academy comprises about 400 members, consisting of Italian, foreign and corresponding members, divided into two Classes, ‘physical, mathematical and natural sciences’ and ‘moral, historical and philological sciences’. Is headed by a presidential council, which organizes its activities, and by the united assembly of the Classes, whose role is to approve the budget and elect those who hold the principal academic positions. In addition to the scientific activities carried out in the monthly sessions, each year the Academy also organizes congresses, seminars and events and, since the 19th century, awarded prizes.